Kyle Potter found this on a website from a church. – What is in that third cup under Emerging? I bet it is Chai. Fair-trade chai made from cruelty-free tea leaves and NOT purchased from Starbucks. Can I get a witness??? – How can they expect emerging people to get up so early on a Sunday morning? – What happens when the emerging people want hymns around the organ? – What happens when the traditional people want to take their shoes off, paint Bible verses on the wall and drink some chai? And I’ll agree with Mr. Brown: it had better be a shift in worldview, or at least ecclesiology, or it’s just another pomo option. And thanks for the hat tip. Sorry guys, its a frappuccino (whatever one of those is – check out starbucks website..). Quite likely to be fairly traded, given that they sell it in starbucks. Maybe the emerging service starts at 11.30 pm. I’ve got a friend who wants to start a church which has services at 2am (ok, we’re heavily influenced by Tony Campolo and ‘The Kingdom of Heaven is a Party’). Seems reasonable to me. Dunno about the other stuff, but then maybe I’m not emerged (emerging..?). I would humbly suggest that it’s most likely a grande mocha-chip no-whip frappacino blended coffee®. Then again, my latest tent-making venture is working at Starbucks. Hmmm…I’m not sure how the coffee mug corresponds with traditional, the travel mug with contemporary, and the frap with emergent. I only drink from mugs (because I like to sit and relax at the cafe while I drink coffee). I defy their categories! By the way Andrew, I notice that you listen to Franz Ferdinand and Greenday…I saw Greenday in concert last week (I thought it kinda stunk) and Franz Ferdiand in concert last night (they utterly and truly blew me away). The cool thing is that both times I went for free (company tickets). Where people add comments, reviews and provide a guide for others to find a church to call home. I don’t like coffee. If I were there, I would have to break off and start a new congregation with Coke and Pepsi machines in the lobby. I’m always a little perplexed about how emc types describe the traditional/established church one way but the emerging church another. For instance, the above lists for traditional and contmeporary as a list of things you’ll find at a gathering, while the emerging one describes less conrete things like feelings/emotions that you might experience. Both are limited to the gathered time only and seem to forget about the rest of the week. There’s no doubt that many people find the traditional as a place to connect. Others will find the emerging as shallow and exclusive. Regardless of how you see them though, they are all part of the body of Christ. The more we separate ourselves from each other the more we go agaist the prayer of jesus – “May they all be one”. Amen to Matt Glover. Let’s build unity rather than criticize another person’s choice of church style, type, etc. bog standard image-conscious starbacks frap. ok maybe a low-fat frap, but that is worse, isn’t it? i think it is a really good graphic for communicating a idea quickly and in broad brushstrokes. this sort of thing is never going to stand up to detailed examination though. awesome post Andrew…I always know that i can come to your site, and there is something new, and noteworthy up…thanks for the work. When does your tour come to LA? Spare a thought for those of us who come from inherited churches that have our focus around a midweek meeting. A shift in understanding about how and what church is is massive and difficult for the people who gather as our churches to grasp. The kind of thing that is illustrated by the graphic is obviously a church grappling with the change. It is not that these churches don’t believe that church is more than a meeting, it is that we are genuinely trying to help our people come to terms with the shift in culture and expectations. If we put a bomb under our churches and made a radical transition we would loose most. At least by doing it slowly we have the potential to carry some. There is a need to honour our mother and father so that we may live long in the land (as it were). old wineskins and new wineskins are both needed. What on earth is the Emerging Church? Maybe youve heard of it, maybe you havent. That third mug *must* be a Belgian Ale, made with love by Trappist monks. Being that this is the first time we are reaching out to you, thank you in advance for taking the time to check us out. Volcom is stoked on us http://volcom.com/news/article.asp?sid=&articleID=664 and Woodward can’t keep us in stock each summer. Kids from all over he country buy off of our website everyday. 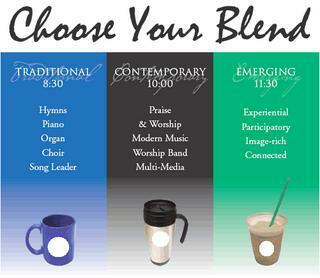 We want to pursue new accounts with Church groups as opposed to regular shops to make a difference instead of a dollar. We are happy to offer you a reduced wholesale price in return for your support. Please check out our gallery ( http://worshipskateboards.com/id42.html ) to see more of the graphics you can expect from us. One interesting project is the Boston Skate park Fundraiser deck…we are trying to help them raise the needed 2 million dollars to complete the project ( http://www.charlesriverconservancy.org/projects/Skatepark/index.html ) so we put out this deck to do our part. Our angle is art based graphics over the conventional blood, skulls, heartagrams and wet willies of the industry. You’ll see that our decks sell 2 to 1 over other brands based on the fact they are unique not to mention they are made in Alabama by the premiere South Central Skateboard Manufacturing. Please check our website before making any decisions. Thanks for supporting smaller skater owned brands like ours and again thanks for your time. Bobby. Previous Post (p)	Blogging Rita?